B.T.J.’s Jungle of West Islip, New York – your one-stop pet shop – is home to the widest assortment of small animals on Long Island. Our small animal department is top notch, and includes various breeds of rabbits, guinea pigs, hamsters, mice and rats. It also includes a broad array of exotic pets. We also have all of the pet supplies and food that pet owners need to make sure their furry family members are happy and healthy. 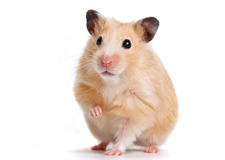 Our pet experts can easily and quickly direct you to the products you and your small pets need. For starters, we offer cages in different sizes. All of them feature varying bar heights to suit your specific pet. We also have a selection of multi-level homes for your small animal. If you’re unsure which habitat would suit your new friend best, then we can help you select and set up the perfect cage. B.T.J.’s carries the pet food brands you trust, such as Living World, Nutrena, Kaytee, Vitakraft Sunseed and many more. Looking for a type of food that’s suited specifically for your pet? Look no further than B.T.J.’s! At our pet store we sell fresh, custom blends of vitamin-enriched feed that’s available either pre-packaged or by the pound. We also feature a wide selection of treats for your tiny pets! For your little pet’s comfort, B.T.J.’s carries a vast selection of small animal bedding. The types of beds we offer include pine, aspen, cedar, corn cob and reclaimed paper. We have a variety of different sized packages from which to choose, so you can stock up and save at B.T.J.’s! Once you check out B.T.J.’s small animal section, you’ll understand why so many pet owners choose us! We have toys, cage accessories and much, much more. Stop by and speak with one of our friendly sales associates today. Our pet store is conveniently located at 144 Sunrise Highway in West Islip. For more information about our small animal department that’s second to none, you can also complete our easy contact form on our website or call us at 631-587-8191.